Within 2.4 miles of Shilla Hotel Casino and 2.7 miles of Alive Museum Jeju, Jeju Soo Pension offers free WiFi and a garden. The property features sea views. Offering accommodation with free WiFi, air conditioning and flat-screen TV, Toto Pension is set 1.7 miles from Soesokkak and 3.1 miles from Hueree Park. This property is 12 minutes walk from the beach. This property offers non-smoking rooms. Toursketch Pension offers free WiFi, BBQ facilities and non-smoking accommodation. The air-conditioned accommodation units come with heating, a flat-screen TV, a clothes rack, and a private bathroom with a hairdryer, a shower and free toiletries. One of our bestsellers in Seogwipo! 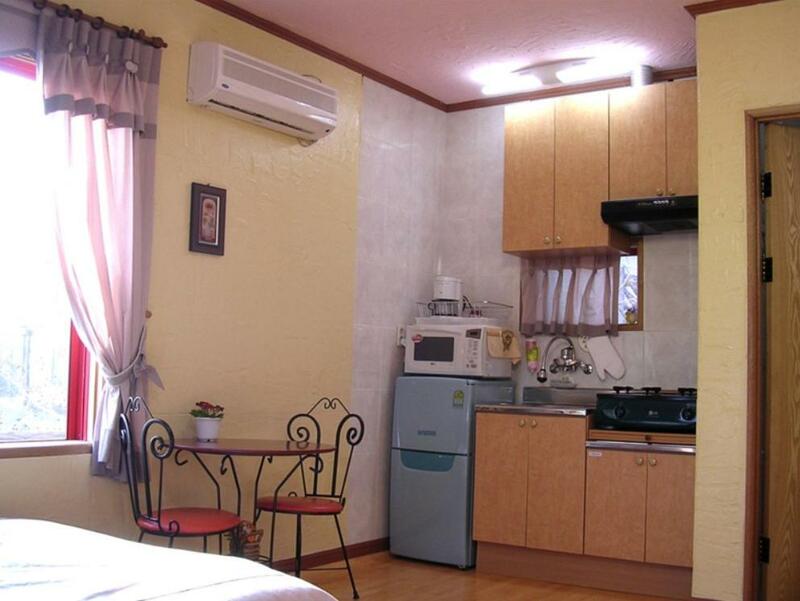 Jeju Sunflower Private Pension has air-conditioned guest accommodation in Seogwipo, 2.6 miles from Pyoseon Beach, 9.9 miles from Hueree Park and 11.2 miles from Soesokkak. Free WiFi is available. This property is 1 minute walk from the beach. 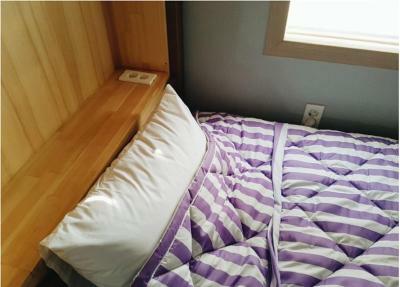 Situated in the middle of Seogwipo, Tov Pension provides accommodation 0.8 miles from Jeju Stadium. Free WiFi is offered. 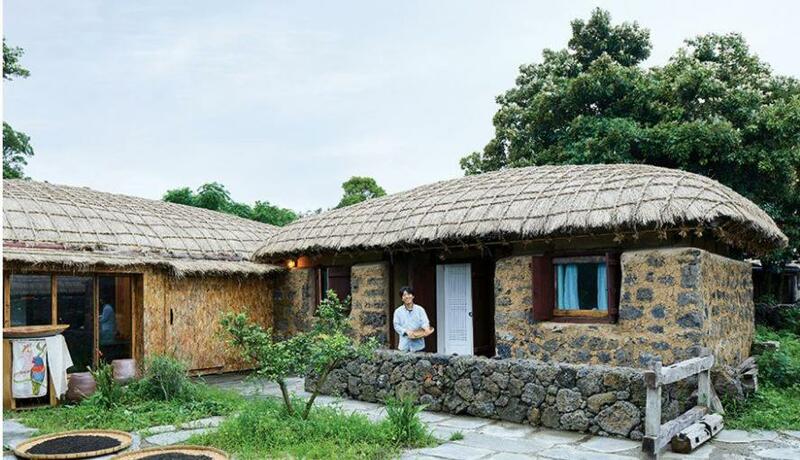 Situated in Seogwipo, 4.3 miles from Pyoseon Beach and 9.3 miles from Seongsan Ilchulbong, Jeju Tea farmer House features accommodation with free WiFi and access to a garden. One of our bestsellers in Seogwipo! Turning point Jeju Pension offers free WiFi, free parking and a garden. The air-conditioned accommodation units come with heating, a flat-screen TV, a clothes rack, a kitchen with a fridge and an electric kettle, and a private bathroom with a hairdryer and a shower. Offering a garden, Jeju The Dream is set in the Andeok district of Seogwipo, 6.8 miles from Shilla Hotel Casino and 6.8 miles from Alive Museum Jeju. Complimentary WiFi is featured. One of our bestsellers in Seogwipo! 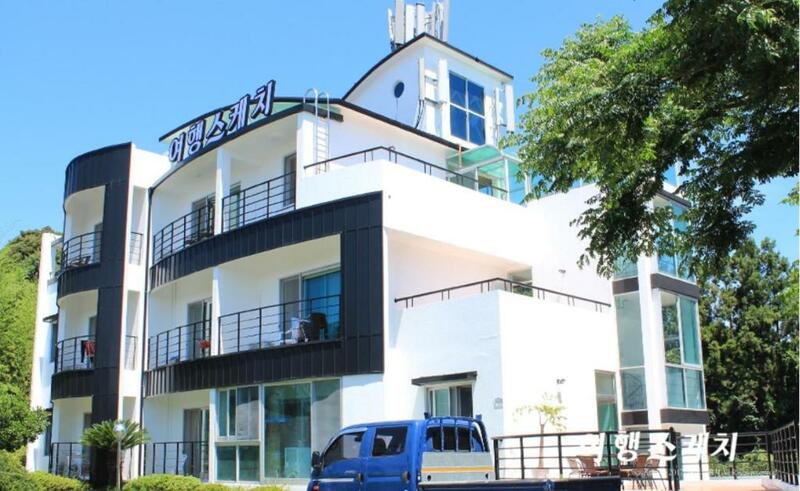 Two Wheels Guest House is situated in Seogwipo, 8.7 miles from Hyeopjae Beach. 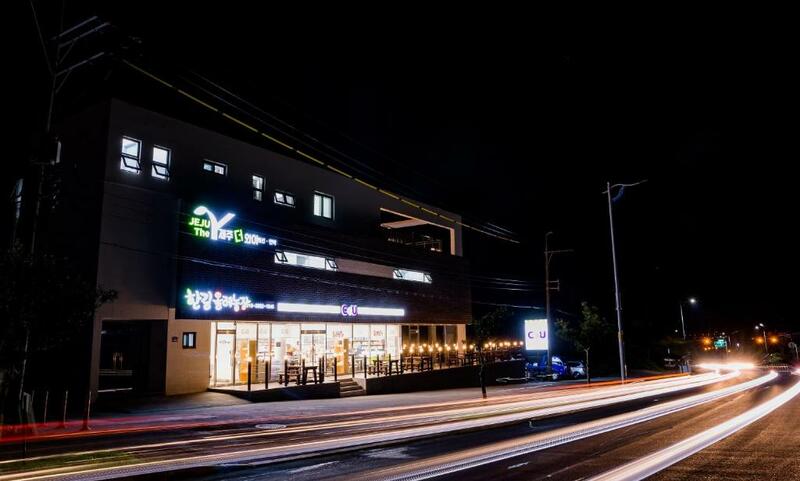 Located around 13.7 miles from Shilla Hotel Casino, the guest house is also 13.7 miles away from Alive Museum Jeju. Jeju Jungmun Resort is 13.7 miles away. This property is 6 minutes walk from the beach. 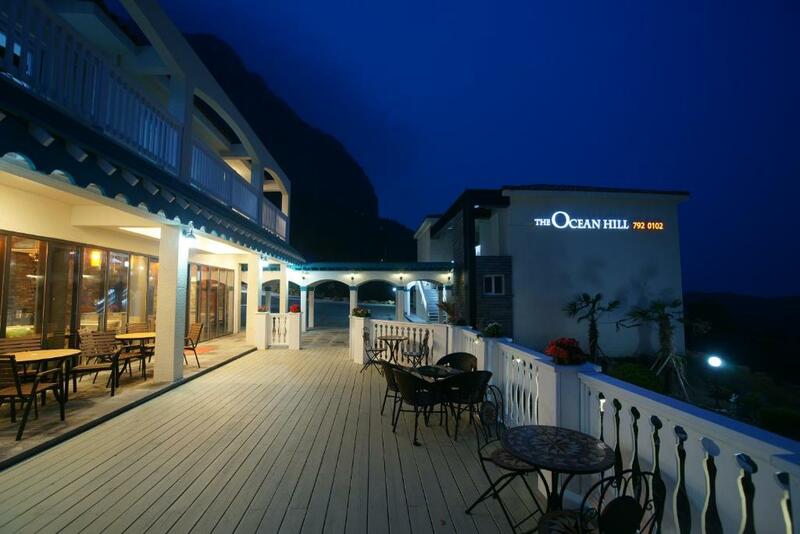 Jeju the Ocean Hill Pension offers non-smoking accommodation, a garden and a terrace. 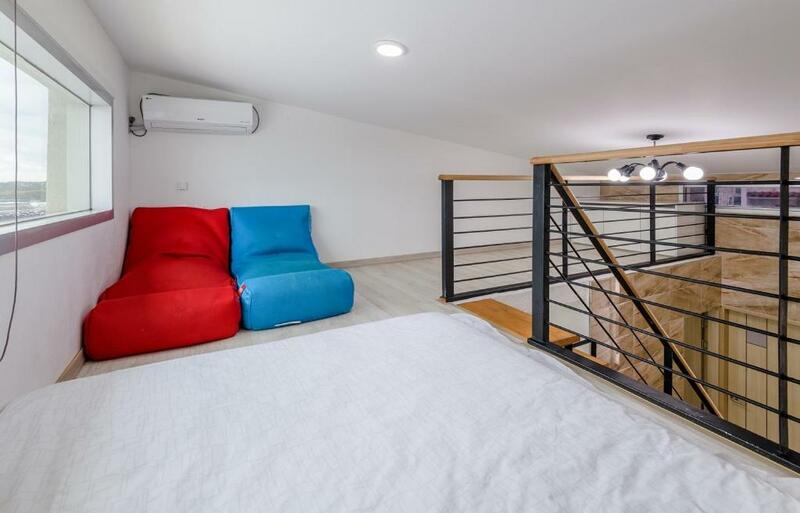 The air-conditioned accommodation units come with heating, a flat-screen TV, a clothes rack, and a private bathroom with a hairdryer and free toiletries. One of our bestsellers in Seogwipo! 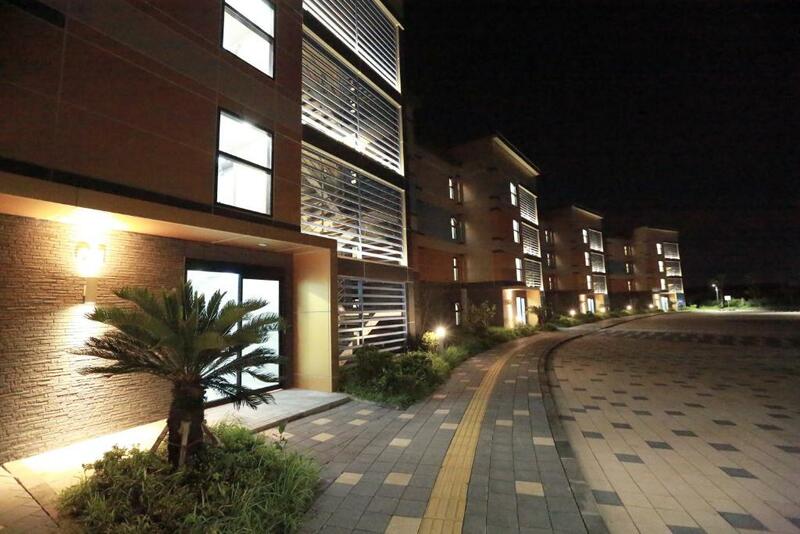 Valley Village is located in Seogwipo, 1.4 miles from Soesokkak, and provides a patio, garden, and free WiFi. The holiday home is 2.5 miles from Hueree Park. Situated 3.1 miles from Shilla Hotel Casino and 3.1 miles Alive Museum Jeju, Jeju the Y Pension offers accommodation with a kitchenette in Seogwipo. Featuring mountain views, this holiday home also features free WiFi. One of our top picks in Seogwipo. 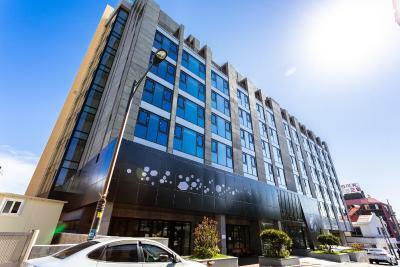 Value Hotel Seogwipo JS is a 4-minute drive from Jeju World Cup Stadium and Jeju Waterworld. The hotel offers views of the city and mountain. Guests have access to free WiFi in all rooms. 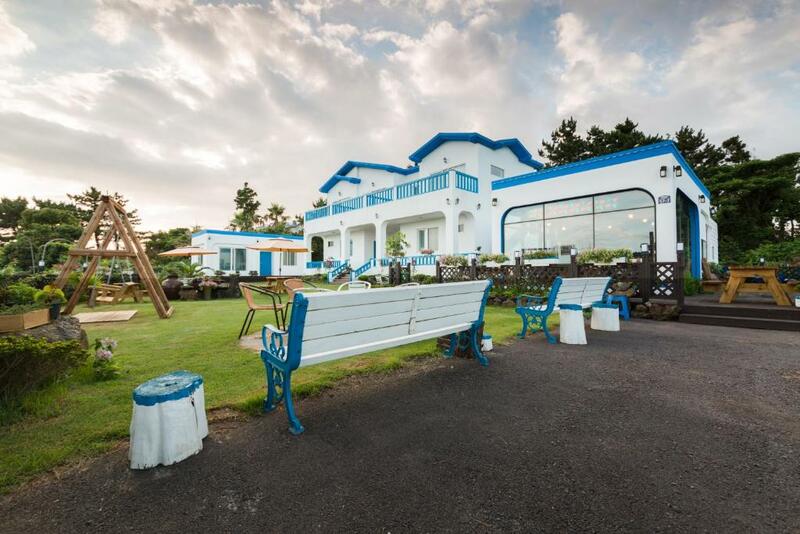 Featuring a garden and a shared lounge, Jeju TS Youthhostel Resort is set in Seogwipo and is 4.3 miles from Hueree Park. Built in 2013, the property is within 7.5 miles of Soesokkak. Pyoseon Beach is 8.1 miles from the hostel and Jeju Stadium is 13 miles away. This property is 10 minutes walk from the beach. 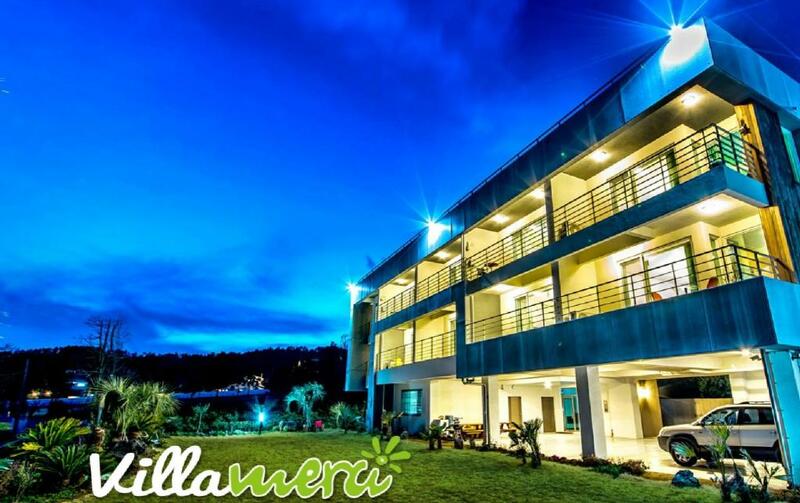 Located 2.5 miles from Shilla Hotel Casino, Villamerci offers accommodation with a balcony. Free WiFi is provided. One of our bestsellers in Seogwipo! 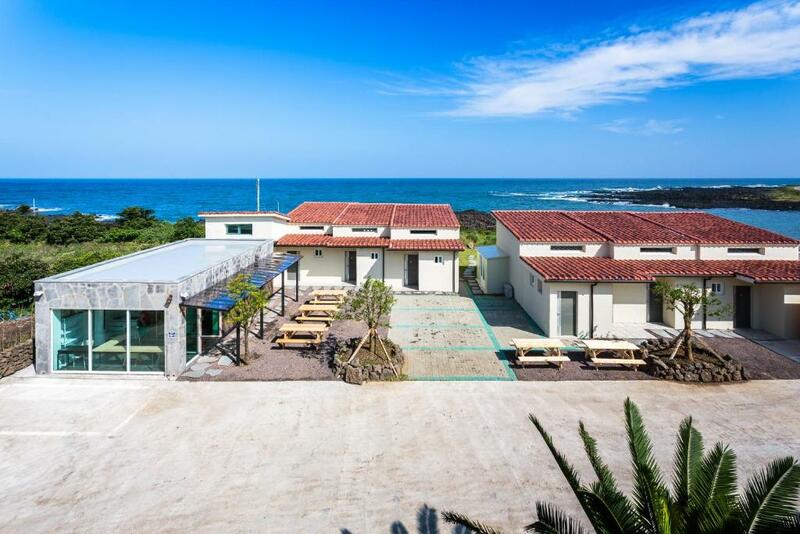 Offering a barbecue and views of the sea, Jeju Turning point Pension is set in Seogwipo. Pyoseon Beach is 3.7 miles away. Free private parking is available on site. 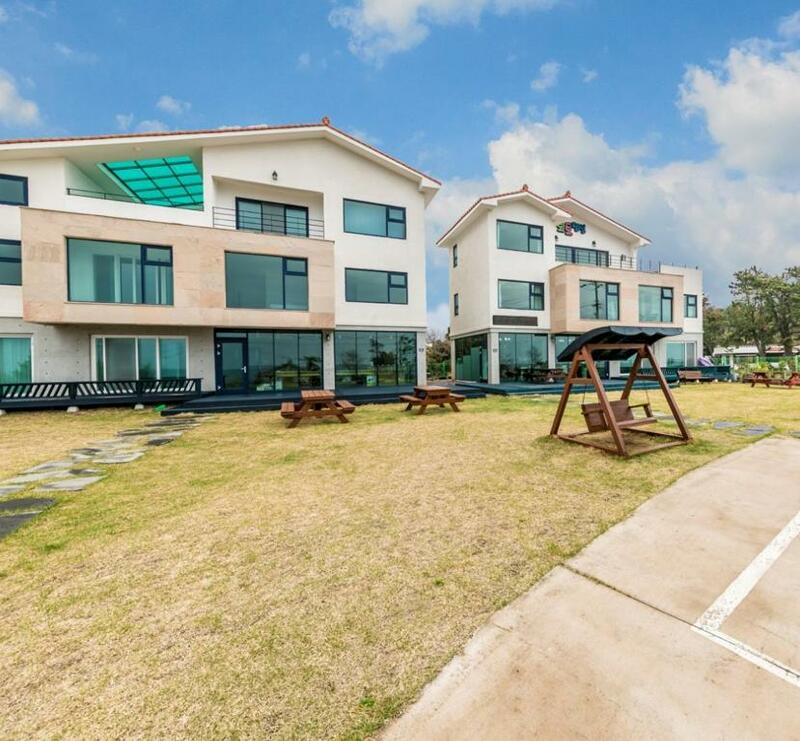 Located in Seogwipo, 5.6 miles from Alive Museum Jeju, Jeju Villa features accommodation with free WiFi and access to a garden. Offering views of the mountain and sea, Vistacay Hotel Cheonjiyeon is a 9-minute drive from Jeongbang Waterfall. Free WiFi access is available in all rooms.